Jonathan Gray has been licensed to practice law in the Commonwealth of Kentucky since 2008 and in the State of Ohio since 2015. Jonathan focuses his practice on civil litigation with a concentration in business litigation and insurance defense matters. 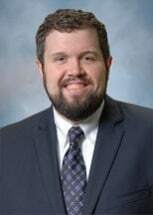 Jonathan began his practice as an Assistant Commonwealth's Attorney working under a federal grant focused on the prosecution of drug-related offenses. Along with his civil litigation practice he also accepts cases defending the criminally accused in District and Circuit Court. Jonathan is a member of the Kentucky Bar Association, the Northern Kentucky Bar Association and the Ohio Bar Association.